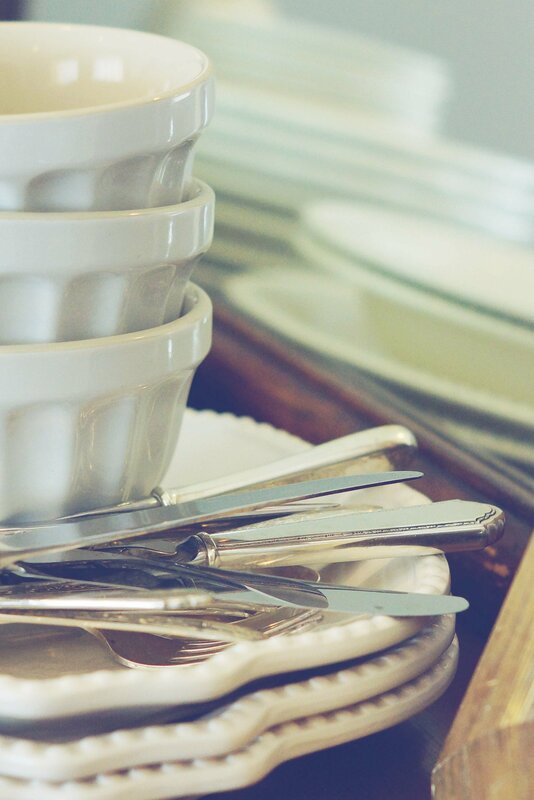 With Easter quickly approaching, family coming in and meals to be made, you may have an encroaching need to go and buy more dishes and/or flatware. 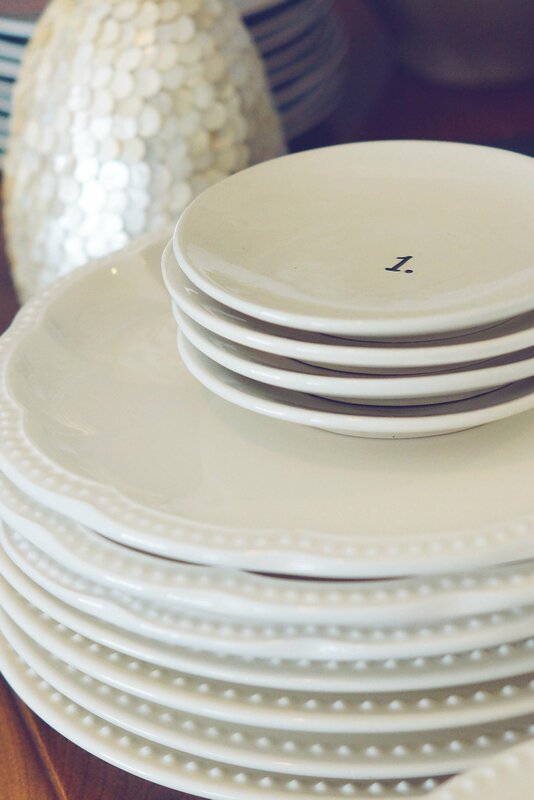 The first holiday that I hosted after being married I had upwards of twenty people in my home and was absolutely frantic about the fact that I had only eight dinner plates. 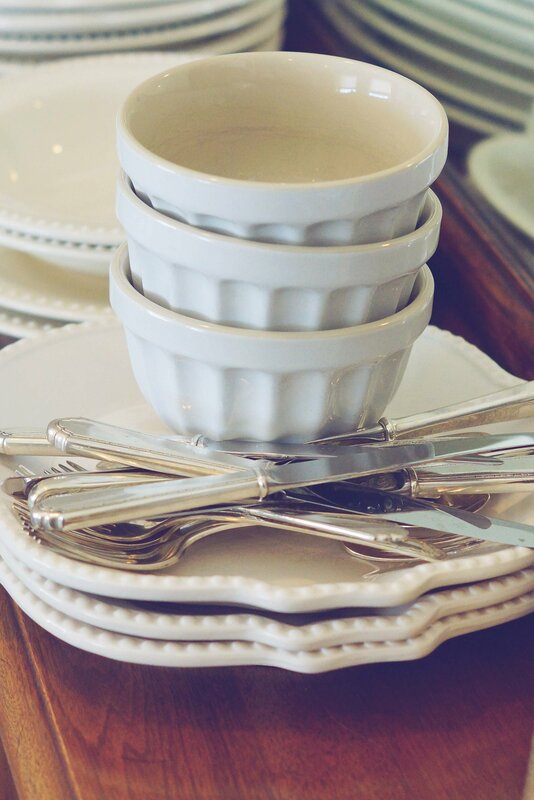 I love my set from Pottery Barn, but on my newlywed budget: not realistic to go and grab twelve more. So to Home Goods I went. I knew that I wouldn’t be matching the plate exactly, but like mixing prints in your closet: just find a commonality among the pieces. I was lucky enough to find two: raised dots around the border and the same color. If you can’t find such a perfect fit as I was able to, my rule of thumb is to stick with neutrals. I’ve recently added grey and a dusty pink to my collection, but more on that later! 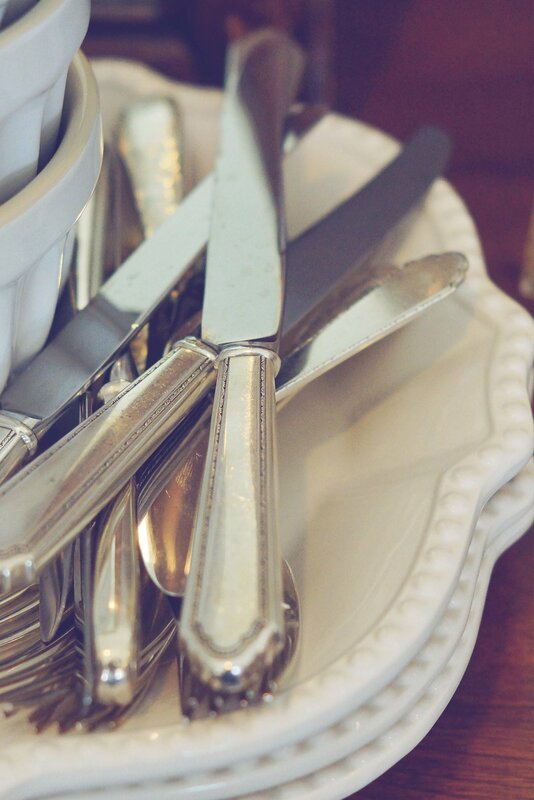 There’s a fun little story behind my flatware: I was given sets by BOTH my grandmother and my husband’s. They don’t match, they are old; One has a floral, feminine look while the other has structured lines and I love them. 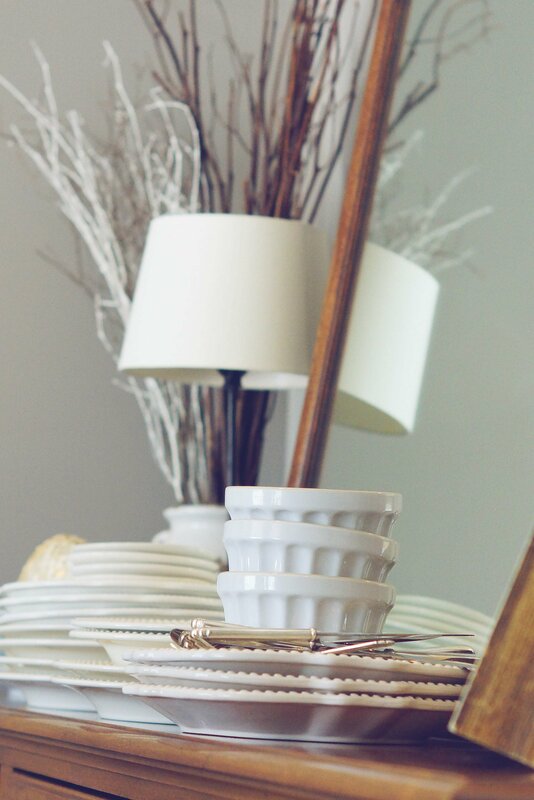 Having family heirlooms and doing something like mixing them together makes something that was old feel updated and special. 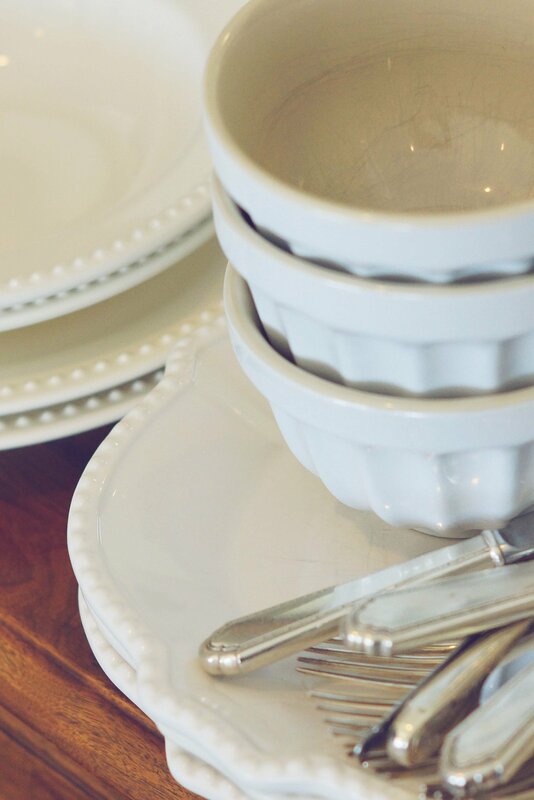 I always love that as I set the table I have two very special women in mind. 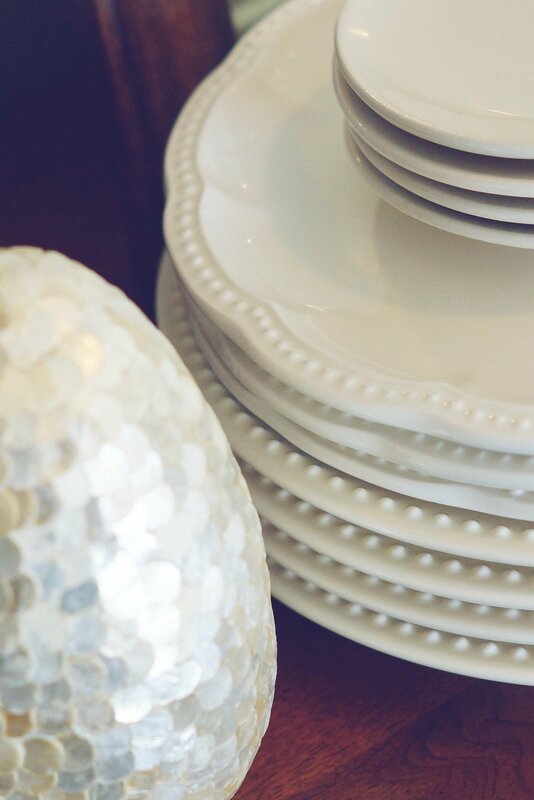 Next Tuesday I’ll be featuring a not-so-perfect, but beautiful Easter table idea. Happy St. Patty’s Day. I need to be pinched.